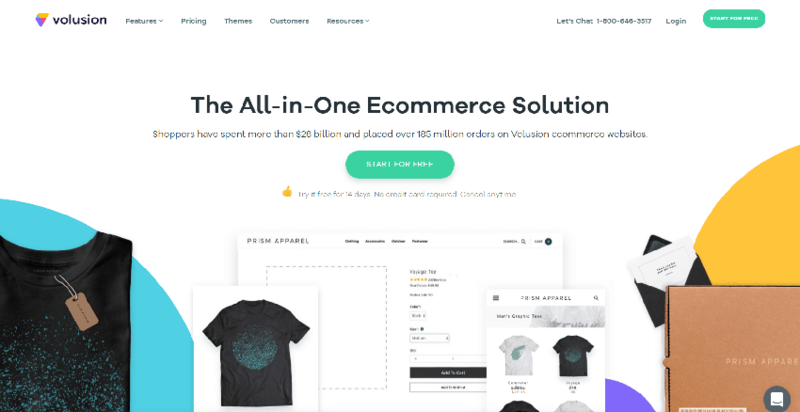 Volusion is one of the leading e-commerce website platforms, known for their dynamic backend and remarkable support system. With their well-thought-out store setup sequence, getting your online shop up and running is a hassle-free process. But where they really shine is in the special attention they give to each store: the Volusion account specialists take care to help you get your store set up exactly the way you’d like it. Plus, stores hosted on the Volusion platform perform exceptionally well in loading times, scoring points in the SEO department. 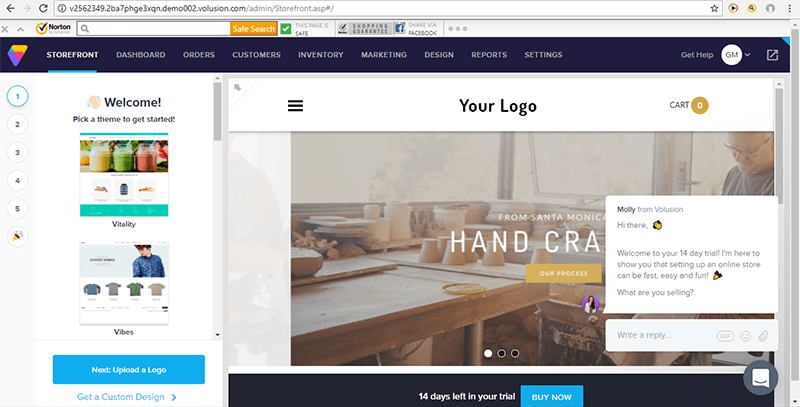 Starting with an easy wizard-like interface, Volusion walks you through the first steps of creating your site: choosing a template, uploading your logo, and inputting products. Using the dashboard you can continue adding products, configure your shipping charges and sales tax, and link to your payment gateway. Once your store is up and running, you have the advantage of a robust back-end which includes features such as tracking inventory, customer trends, and orders. Volusion Has Several Free and Premium Templates – All Responsive! While perusing the templates, it seems they all have the same basic layout – a full-width slider below a horizontal menu with featured products underneath. The difference seems to be mostly in color scheme and fonts, so you can choose the one whose style best suits your business. More advanced users can access and edit the HTML and CSS files for further customization. Additionally, all templates are responsive, so your site will look great on whatever size device your customer is using. Search Engine Optimization and Analytics: Volusion has many tools, including the ability to create search-friendly URLs, unique meta titles, descriptions and photo attributes, to assure your site is search engine friendly. With their editable robots.txt file, you can decide which parts of your store the search engines should see. Sell on Other Platforms: You can easily integrate your store with Amazon Marketplace and eBay to give you wider exposure for your store and products. Dashboard: Using the Volusion dashboard you can easily monitor and manage your online store. The dashboard features include monitoring products and their popularity as well as viewing customer details – including their contact information, and order histories. Abandoned shopping carts can also be seen, so if the customer is a registered user with an email address, you can choose to follow up directly with them. 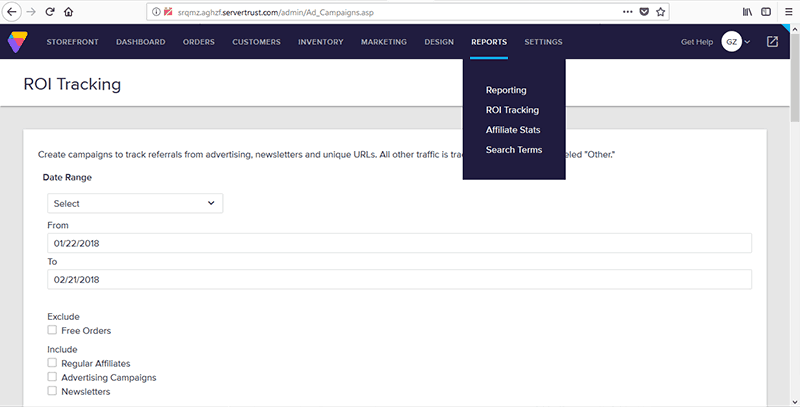 You can also get reports on things such as search terms to help you improve and fine-tune your online marketing strategies. Batch Upload: If you have a lot of products, suppliers, and/or customers, you can upload them in .cvs format by organizing your information into the same field order as Volusion’s database. The easiest way is to create at least one record within the Volusion environment and export the database. Use this file as a guide for organizing your data, then simply save and upload the new file. Additionally, if you have several products with the same options, such as clothing available in S, M, L, XL, and XXL, you can copy and paste the option id number(s) into each product’s options field rather than adding each size option over and over again for each product. While creating a store with simple products is quick and easy, anything more complicated can be confusing. Despite the many features available for customizing your site, it can be difficult to locate them. When I wanted to add content pages, clicking on the most logical link, Design > Site Content took me to a page named Articles full of dropdowns and ID numbers, but no direction. I certainly did not expect full support files here, but a simple line of explanation such as “This is where you can…” would have made the process more user-friendly. While following the tutorial for adding these pages, I found the process to be non-intuitive and unnecessarily complicated. Creating the beautiful front-page slider is easy – however, I could not find support files for linking the slide’s button to a specific product category or page. A chat support representative said that would require custom programming. However, it really is as simple as navigating to that product category or page in another browser window and copying and pasting the URL into the link field. Customer support could easily walk a store owner through this process before recommending spending additional money on unnecessary custom programming. When viewing items in the shopping cart, the product option(s) chosen were not displayed. Rather, there was a + sign, which when clicked, displayed the options in a pop-up window. When I asked about having the options display in the cart, a support representative said it is possible, but complicated. I would have to create a “parent” product, (the product itself), and then add “child” products, one for each combination of available options. Therefore, if you have a shirt with 4 size and 3 color options and want the selected options to appear in a customer’s shopping cart, you’ll need to create 12 products for that shirt, one for each combination of size and color. While there are many features available in Volusion, there is hardly anything advanced that can be done by the average store owner without some coding knowledge and a rudimentary understanding of how databases work and relate to each other. Volusion offers an invaluable set of guides to help you understand the many components involved in building, running and marketing a successful online business. These guides, which can be found at https://www.volusion.com/guides cover important topics such as affiliate marketing, analytics, and conversion optimizations. However, even with the extensive help files, I had trouble finding answers to some of my most urgent questions while working on my site and I had to use chat support which was not always immediately available. For instance, when wanting to add some content pages, I searched the help files for “adding pages,” but no relevant answers were returned. Chat support directed me to a support file titled “Creating an Article on Your Website.” Since Volusion uses the term “articles” and not “pages,” my search was unsuccessful. I also could not find how to get the selected options to show up in the cart by searching “display options” (see the options issue in Ease of Use section). Had the support files been indexed better, users could immediately find the answers they seek. Since many people would consider their content a “page” rather than an “article,” that tutorial would have still come up in the search. As of October 8, 2018, Volusion moved to a zero transaction fee model on ALL plans for all current and future users. Website owners will no longer need to pay a website builder transaction fee. Volusion offers several price plans which scale up along with the features you want, the number of products you sell, your site’s bandwidth usage, and the level of support. SSL certificates for secure checkout are not included with any of their e-commerce plans. If you purchase a certificate through Volusion, they will install it for free. If you already have an SSL certificate, or purchase it from another source, there is a charge for installation. While there is no refund policy, you may cancel your site effective the end of the currently paid subscription. This can be done easily by logging into your account and following the instructions provided. It is important to remember that this will only cancel your Volusion store. If you have other paid recurring services such as Credit Card Processing and SEO Services, even if they are provided by Volusion, you must cancel them as well. onClick="trackClickout('event', 'clickout', 'Vendor Page - Visit User Reviews', 'Volusion', this, true);"
We switched to Volusion about 6 months ago and so happy we made the change. Options are endless and great customer support. So happy they have chat, call, or email support. Love that I can integrate with other software I use. 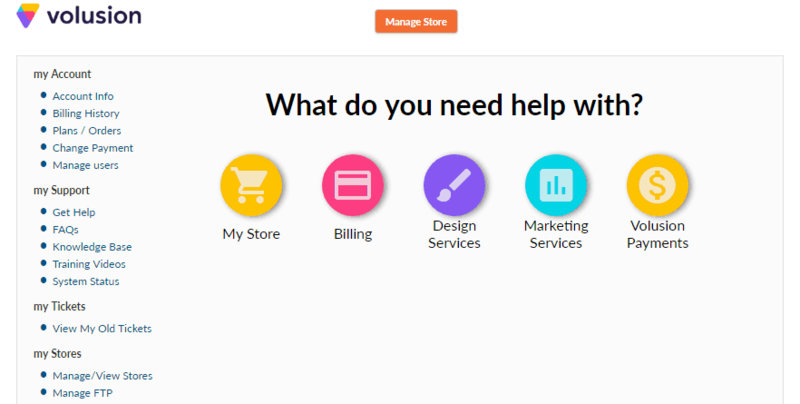 I was looking for a more sophisticated online presence and design for my store when I found Volusion. With their informative knowledge base tutorials, I started designing my store like a pro immediately. What I love most about Volusion is their excellent customer service. Representatives are friendly and knowledgeable, whether via live chat or on the phone. Volusion helped me get my company Online and selling over 7 years ago..! We have now grown to $3M in Annual Sales ! Definitely would recommend Volusion for anyone starting out... or already up and running ! Volusion enhances Shoe Care Supplies' e commerce platform through my role as the marketing dept.Knowledgeable staff presented in teams: - Offered me advice about cross-platform, even third-party integration - Answered my deep dive coding and design questions - Performed strategic actions from the back end, like replacing social media buttons, and - Guided me through multi-step site management to optimize presentation for our niche customer baseMy role and control as the online ambassador of my company is perpetually enhanced. We have used Volusion for 3 years. Though our business is small, this online store has worked exceptional for us! Adding products is a breeze as well as editing. Putting pictures together with our products is seamless. We had issues with customers complaining about flat rate shipping on some of our smaller items till we figured out the tiered shipping. Thanks to Volusion, we've dropped our complaints to zero. Another area where Volusion shines is the accurate calculation of sales tax. Our customers compliment us on our store and we never have experienced outages. When we need support, we are helped till our issue is solved by friendly, knowledgeable people. This is the second online store we've tried. We've been impressed over and over again at how easy to use it is. I would highly recommend it. I love Volusion mostly because of the 24/7 help that you get. I especially like the chat; answers are quick. Even phone calls to HELP have a quick response.The 2nd thing I like about Volusion is there are no limits as to what you can do on your website. Volusion has it all for the DIY!Volusion also makes SEO for your website easy and affective. My website is on the 1st page of Google. However, creating anything more than a basic store with simple products on the Volusion platform is not something a business owner with no coding, programming, or database experience should expect to do on their own. If Volusion fulfills your e-commerce requirements and you have the time to master the learning curve or the budget to hire a coder or outside firm, you can absolutely build a site taking advantage of their many advanced features. Volusion is great for e-commerce, but it is not a good choice for a general-purpose website. Creating content for strictly informational sites is not as straightforward nor as easy as most other platforms. Like Volusion Review? 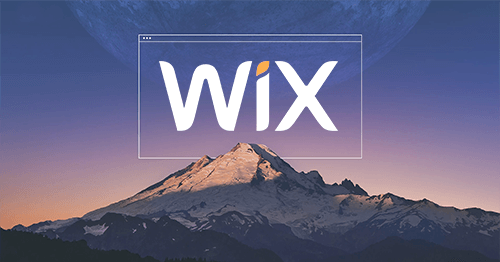 Click here to build your website. Gail is a Technical Editor and Interviewer for Website Planet. Her first PC was a TRS-80 which required a cassette tape to boot up. Producing websites, emails, and banners combines her love for design, technology, and of course, writing. Wondering how Volusion stacks up against other Website Builders? Enter any other Website Builder and we will give you a side-by-side comparison.